This problem lies with the lack of a universal BIM classification system. In our eBook, we explore BIM classification, give you a definitive breakdown of what systems you should be using and run through everything you need to know about BIM classification systems as they stand today. Get up to speed with BIM classification systems - for FREE! A breakdown of everything you need to know about BIM classification systems, including why we need them and the problem that our industry faces. A detailed comparison of the key features of existing classification systems so you can make an educated judgement on which is best for you. We let you know exactly what system we use and recommend for your business as well as how Kreo can help you to communicate on future projects. BIM (Building Information Modeling) is 3D modeling that allows professionals in architecture, engineering, and construction to be able to plan, design, construct, and manage their projects in collaboration with each other. Kreo uses BIM classification to bring teams together and improve collaboration. Using these systems, Kreo can effectively help architecture, engineering and construction professionals come together to improve cost estimating, increase scheduling accuracy and produce more successful bids. 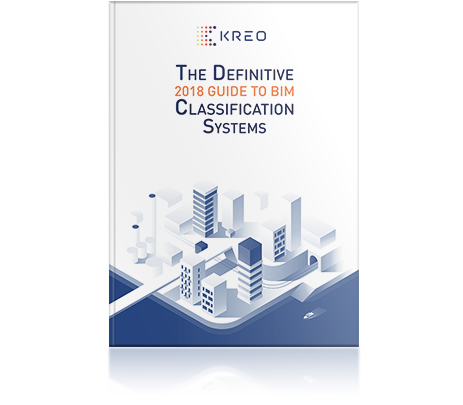 Download our eBook to learn more about how BIM classification systems work with Kreo.